It’s July again, and System Administrator Appreciation Day is always celebrated on the last Friday in July. 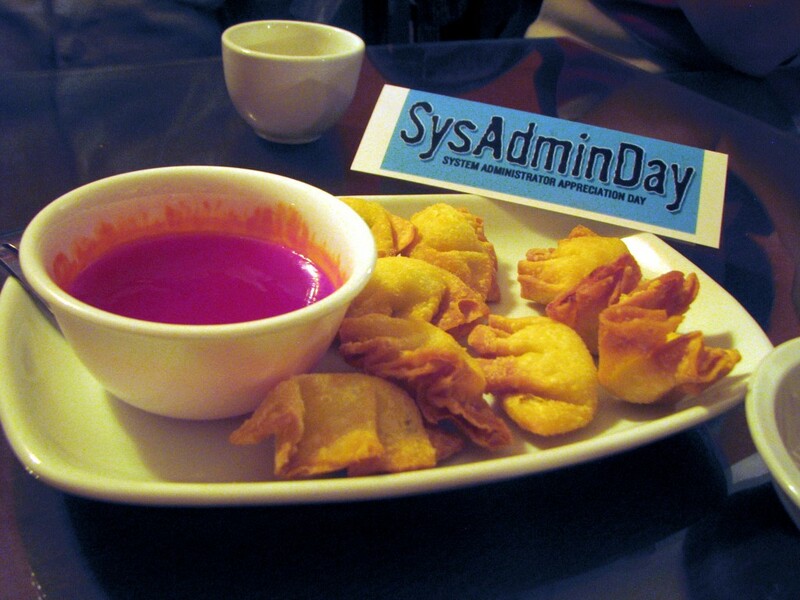 Although the SysAdminDay website indicates that SysAdmins are the happy recipients of cake and ice cream, for the last few years SysAdmins in Kitchener-Waterloo have been celebrating SysAdminDay by taking themselves to dinner, along with spouses, friends, and co-workers. This year we’re teaming up with the Kitchener-Waterloo VoIP Users Group. While KWVoIP meetings are usually scheduled for the fourth Thursday in July, this month we’re combining the KWVoIP meeting with SysAdminDay. There’s an overlap between the KWVoiP members and SysAdmins — VoIP systems need administration too! As a bonus, we’ll get a presentation from Brian Bentley about his roaming experiments in the U.S.
Tony, the Egg Roll King himself, is a versatile host. Not only are the egg rolls and spring rolls the best in KW, there are vegetarian meals available, and ERK has some of the best fried chicken, fish & chips, and poutine in town! Friday nights are busy at the Egg Roll King Restaurant, so leave a comment to let me know you’re coming and I can make a reservation. Brian Bentley has returned from a short trip to the United States. Unfortunately, he wasn’t able to present last month, so he’s catching up this month. In order to stay in touch telephonically, Brian used Roam Mobility for Data services. He tested Fongo (Canadian number) and TextNow (US number) for VoIP services. While in the US he tried to sign up for a Google Voice number. What worked? What was cheapest? Was it worth the bother? Come to dinner to hear Brian’s answers. Oh look! More pictures in the gallery! And the winner is: Chen’s Buffet! Reservations have been made; see you there on Friday, 31 July 2015 from 6:00pm to 9:00pm. 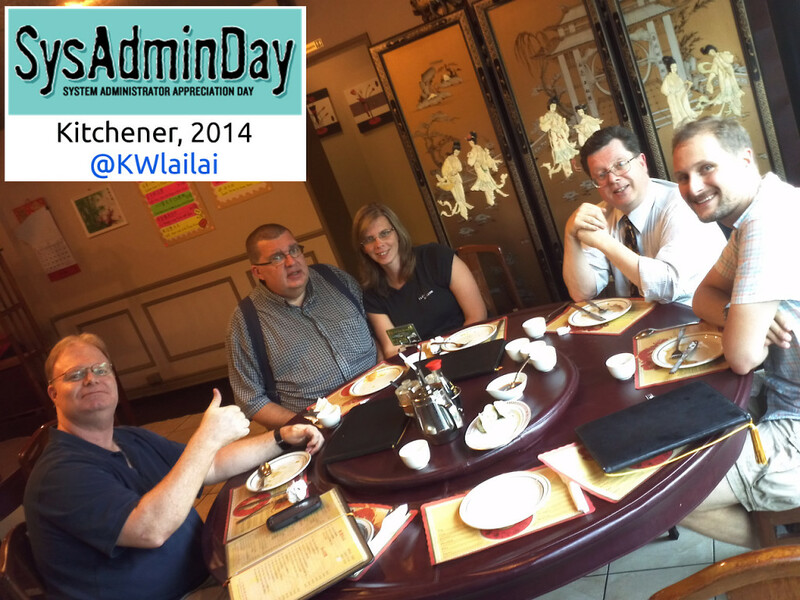 Nobody appreciates System Administrators more than other System Administrators, so for the last few years I’ve hosted a Systems Administrator Appreciation Day Dinner in Kitchener-Waterloo. Last year we went to LaiLai’s, and previously we’ve gone to Egg Roll King. 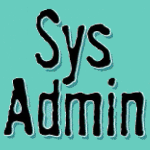 SysAdminDay is on Friday, 31 July 2015, just over two weeks away. Where would you like to go this year? Potential venues must offer vegetarian fare, and be physically accessible. Leave suggestions in the comments or send me e-mail, then next week we can vote. If there’s more than one candidate on the list we’ll rank choices from 3 points (most favoured) to 1 point (least favoured), and I’ll add them up, post the results here, and we’ll all meet for dinner. SysAdminDay Dinner is open to everyone, whether you’re a System Administrator, a SysAdmin Student, or a former SysAdmin who’s been lured to the dark side. And also their friends, family, and end-users. OK, maybe not the end-users. Unless they’re friends or family. See you on 31 July!